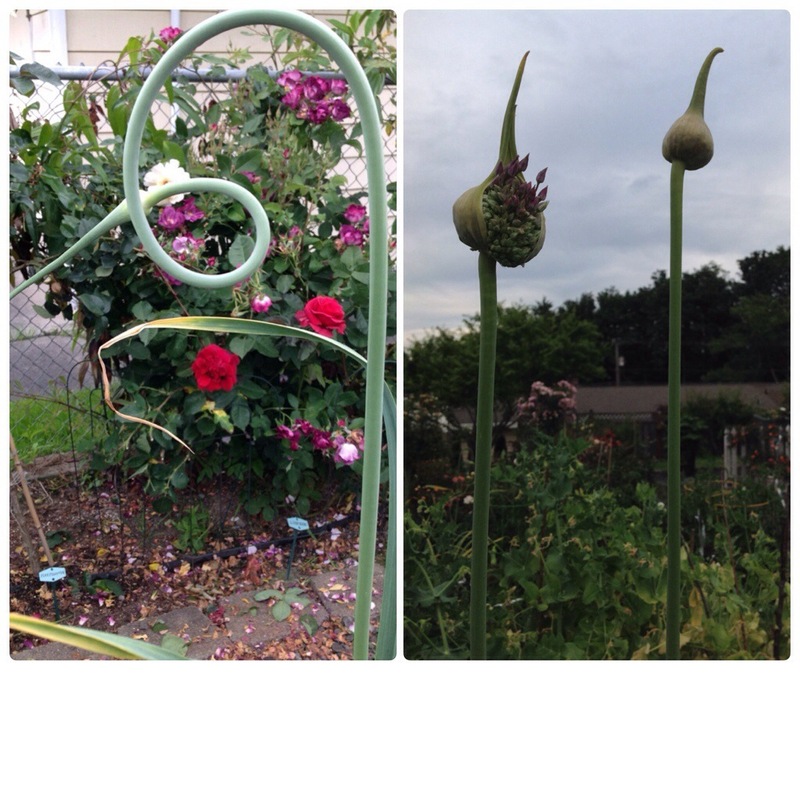 A recent #gardenchat discussion got me thinking about garlic scapes and how I use them. 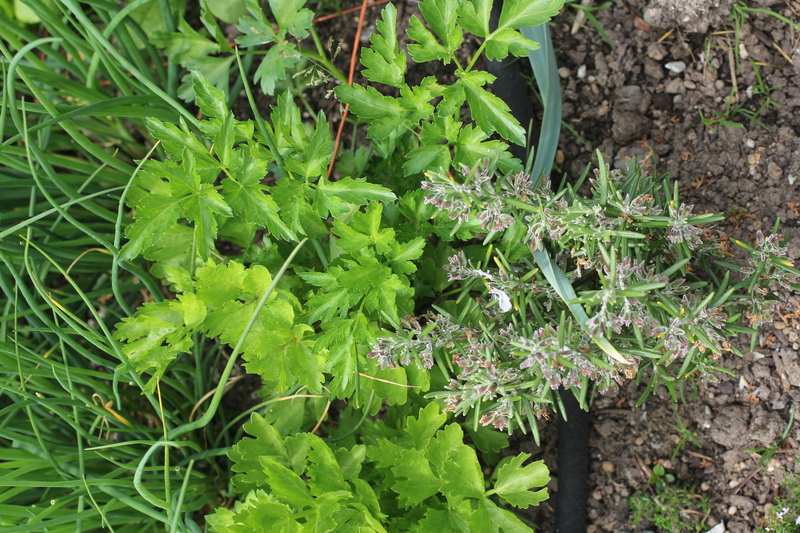 I cut them now, as seen in the photo, before they flower and make pesto, just substituting garlic scape for basil. 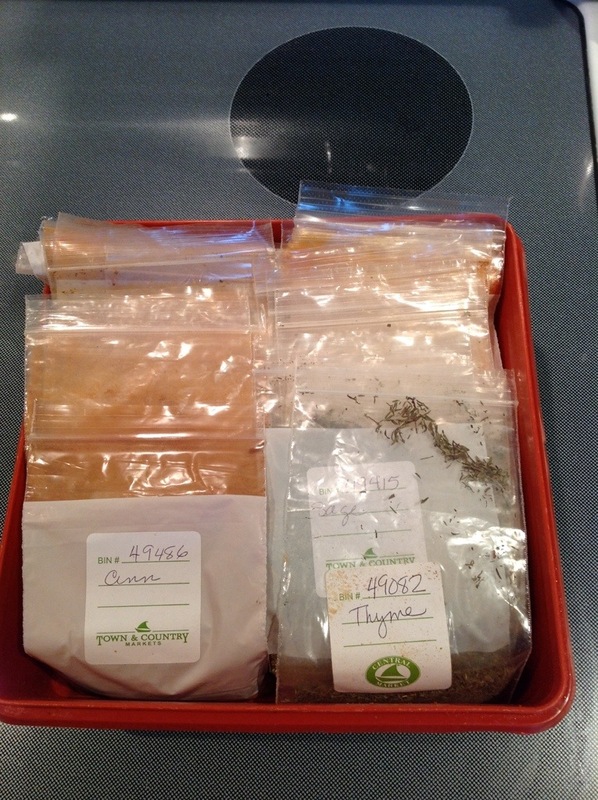 This will freeze easily in small cubes, if you have a plastic cube tray or as blobs on a lined freezer tray. Then put them in a Ziplock freezer bag for storage. Another easy use for garlic scapes are as a substitution for green onions in a salad or as a very mild garlic when garlic is called for in a recipe. The remainder of the stem and garlic bulb are left in the ground to dry and cure as usual. I love growing in my raised bed veggie gardens and sometimes the slugs love my veggies too. The smaller the starts, the easier they are to be destroyed. So last fall I found some copper tape on clearance and figured out that the roll contained just enough to encircle two plastic “flower boxes” and enough to surround the drainage holes on the bottom. This has been very successful! I have basil and a few lettuce plants that are growing in this prime real estate. When I want a few lettuce leaves to put on a sandwich, I do not want Swiss cheese lettuce. Fall and winter gardening has been a real success for me. 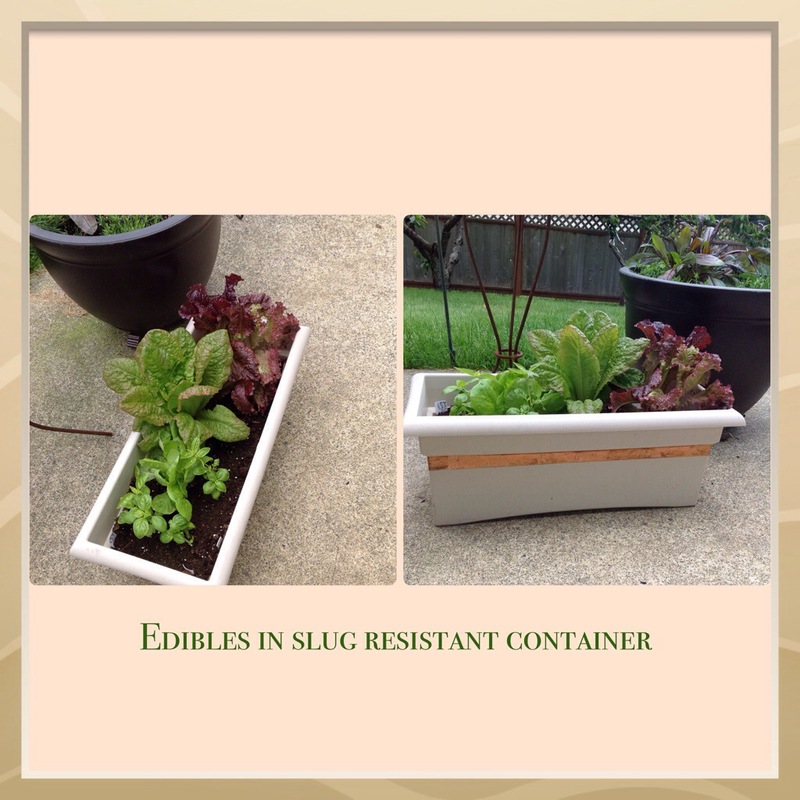 NikiJabbour recently wrote a book about this topic and I was inspired to see how it would work in my garden. 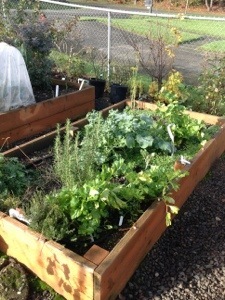 I don’t think we’ve had a killing frost yet, just lots of rain, the ground is saturated, even in these raised beds. Local Master Gardeners said to have the winter veggies 90% grown by November 1st when our daylight is down to 10 hours per day and decreasing. 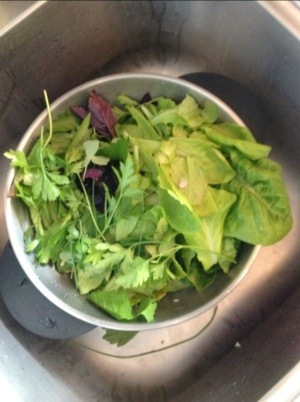 The winter part of gardening is harvesting. Baby lettuce does not mind the cooler temps in November. I have cut some already and I hope to have a very early crop in February. 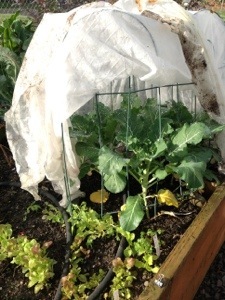 I want to point out my small protected area of broccoli. I did not have enough plants or Remay to cover a large hoop house so I found some used, wire fencing that you stick in the ground, and then used bulldog clips to attach so it would not blow away. The part that touches the soil is being held down with rocks. Nothing fancy, but it works. These last photos show my bed #2 with herbs at one end and crimson clover/cover crop around the last of the kale. Cover crop is very important in my climate where winter delivers rain by the inch or foot. The cover crop/green manure grows slowly and acts to buffer the soil from the rain and the roots keep the soil from getting compacted, as it would with nothing growing. Four weeks before I want to use this bed next spring to grow more veggies, I will use the string trimmer to cut down the tops, then turn them into the soil while I cut the roots. Have you noticed a change in the weather and the light available to our gardens? I think it is caused by our place in space and the change of seasons. Every year around mid August it just changes and the signs of fall begin. ‘Celestial’ and other once blooming roses begin to show color. 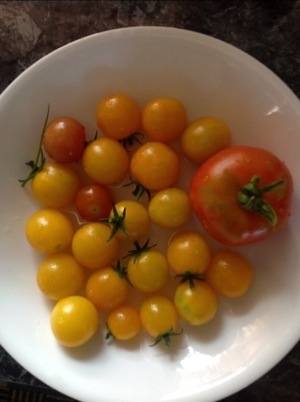 Tomatoes ripen, which I am told is a rare thing in the PNW area. And the serious harvest begins. I love that. It means more space to start veggies that will mature before the end of October. The Transplanted Gardener has survived one complete growing season in the new garden. We ate the last of the broccoli today. Using the Remay cover kept all the bugs out! I will do that again. 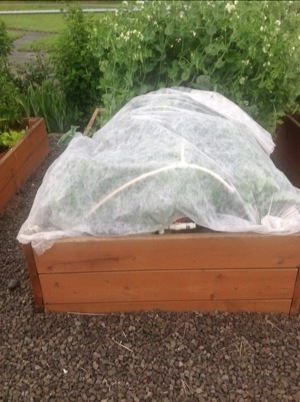 I still have some cabbage under cover. 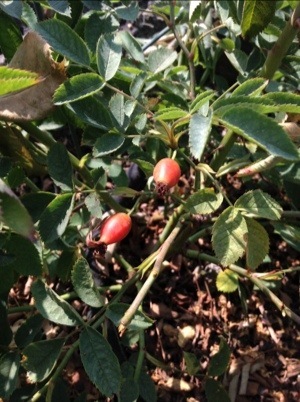 The plants that were put in April 17 th have not started to form heads yet. Today I planned what will go into the 4×8 bed once the sugar snap peas are done producing. 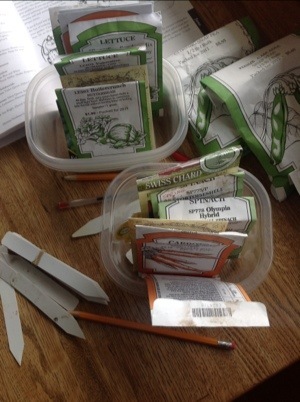 Territorial Seeds have been working well for my climate the Maritime Pacific North West. July will be a big time to plant for fall and winter. 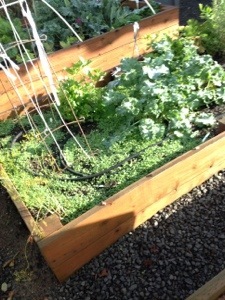 Broccoli, carrots,peas, parsley and lettuce will fill the bed. Do you grow herbs? I only grow the ones I love to eat and I miss them in the winter. Last January I was aching for some fresh parsley and now I have enough to share because in January I planted parsley seeds in a pot. 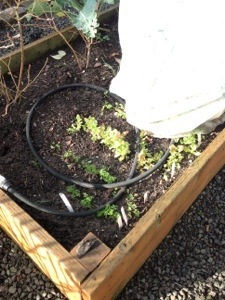 I also planted celery in January and that is really tasting good right now but it is not technically an herb. 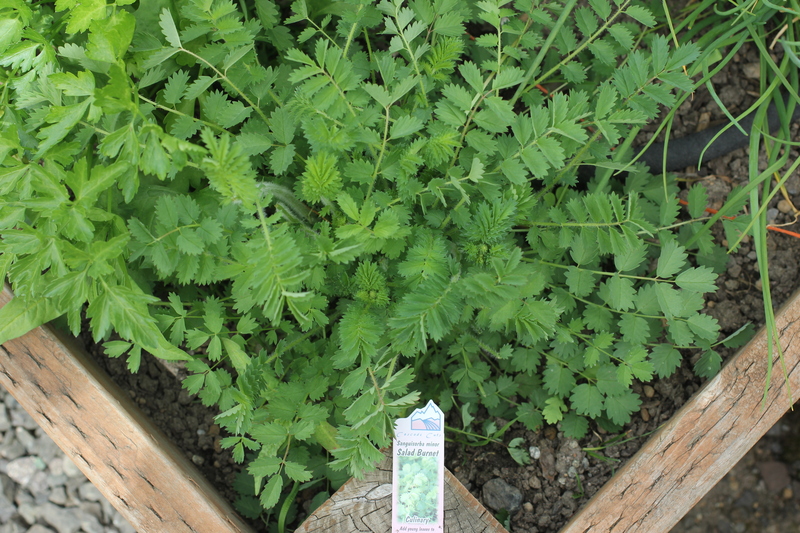 Salad Burnet is one herb I bought as a plant. It has a slight cucumber flavor. I have taken a bottle of white wine vinegar and put in Salad Burnet leaves for a month or so to infuse that great flavor in the vinegar. Another of my favorites is mint. 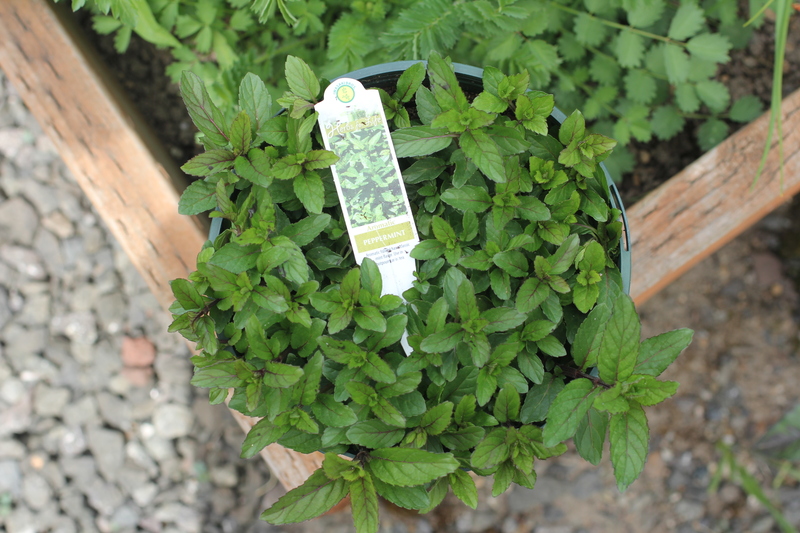 If you have never grown mint know that it can get invasive and is best grown in a pot and not put in the regular garden or it will take over your garden space! Chives, parsley and rosemary also get some precious garden space.